“In a world that already hates and fears them—what if only black people had superpowers?” This question is at the core of Black Mask Studios’ superhero series, Black, immediately setting it up as a riff on Marvel’s X-Men, who have “sworn to protect a world that hates and fears them.” The characters in Black may have costumes and codenames, but they’re focused on their own survival rather than protecting the world at large. Black people are already systematically targeted by white supremacists, law enforcement, and the criminal justice system, and if the world knew that they also had superpowers, they would be in even greater danger. Written by Kwanza Osajyefo with designs by Tim Smith 3 and artwork by Jamal Igle, Black was a Kickstarter success story before being picked up by Black Mask, and its willingness to engage with the major issues facing black Americans makes it a daring, exhilarating superhero title. The collected edition of Black goes on sale this week, and The A.V. Club has an exclusive look at the series’ entire first issue to introduce readers to this new superhero world. From the very start, Black doesn’t pull any punches, beginning the story with three innocent young black men gunned down by the police in a case of mistaken identity. The proceeding issues address lynchings, mass incarceration, and involuntary scientific experimentation, all incorporated in a story that never skimps on superhero thrills. Jamal Igle is an artist with extensive experience in mainstream superhero comics, and his understanding of the genre gives Black an extra element of spectacle while the script gives him the opportunity to explore more grounded storytelling. The starkness of the black-and-white artwork (inked by Robin Riggs with tones by Derwin Roberson) makes the book even more intense, and Igle has to make his artwork even more expressive given that he can’t rely on coloring to emphasize emotional beats. 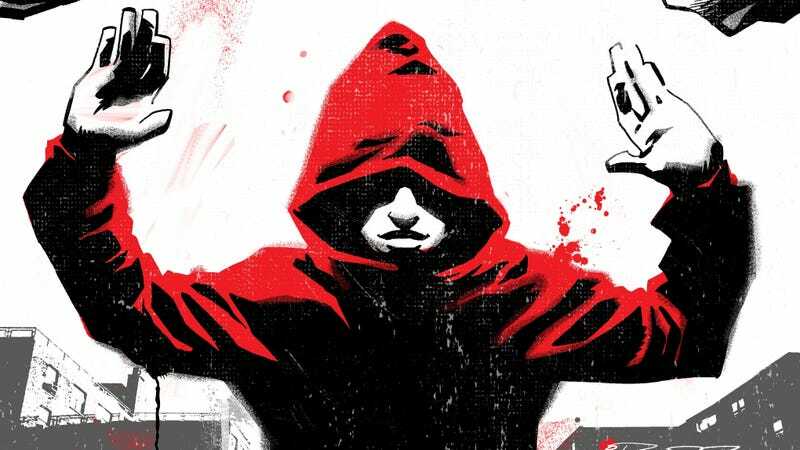 Readers can join Kareem on his journey of superpowered self-discovery by picking up the Black collection on Wednesday, and hopefully Black Mask will continue to explore this promising superhero concept with a second series in the future.